When you’re going to install Windows on your computer or laptop, but you can’t select the disk that you want. 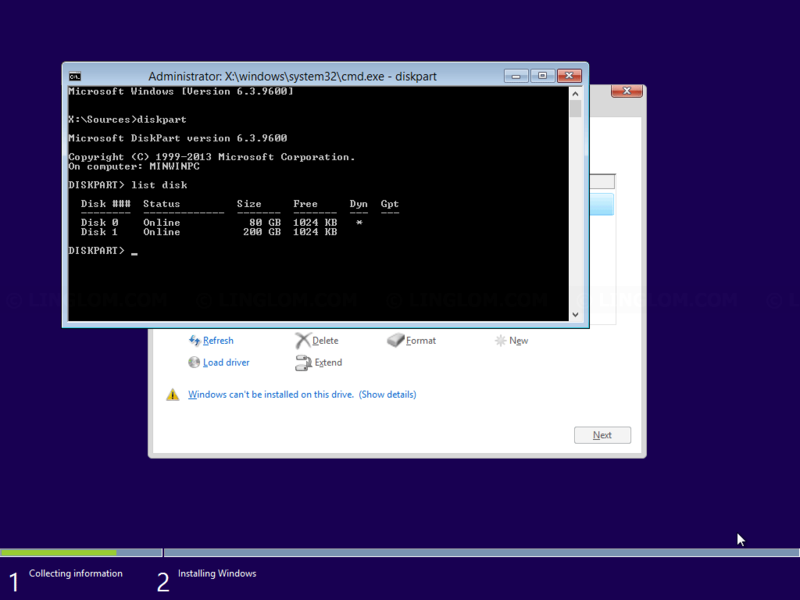 And if you click Show details, you see below message which means that you can’t install Windows on a dynamic disk. 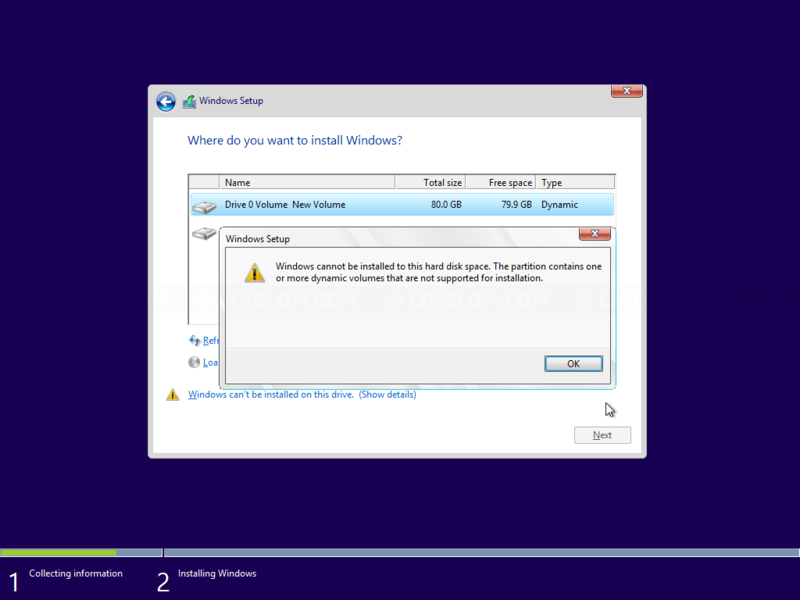 or more dynamic volumes that are not supported for installation. Windows cannot be installed to this hard disk space. The partition contains one or more dynamic volumes that are not supported for installation. Note: This solution choose to clear any data and information on disk so if you have any important data on the disk, you have to move it or backup to other disk first. Warning: If you did software RAID 0, or RAID 5 on the disk, converting the disk to basic will break the RAID and you will lose data on the RAID. To fix this issue, you have to convert the disk to basic disk. 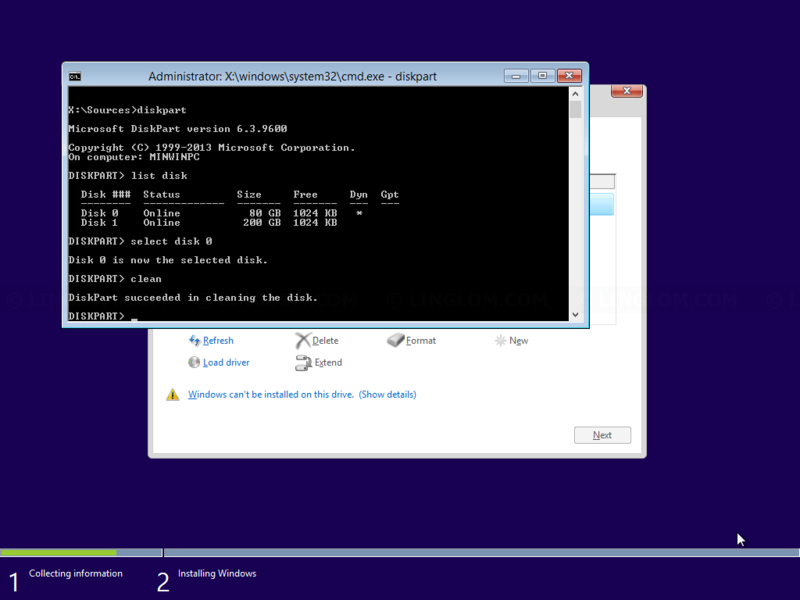 In this article, I will use clean command in diskpart program to clear any data and information on the disk. 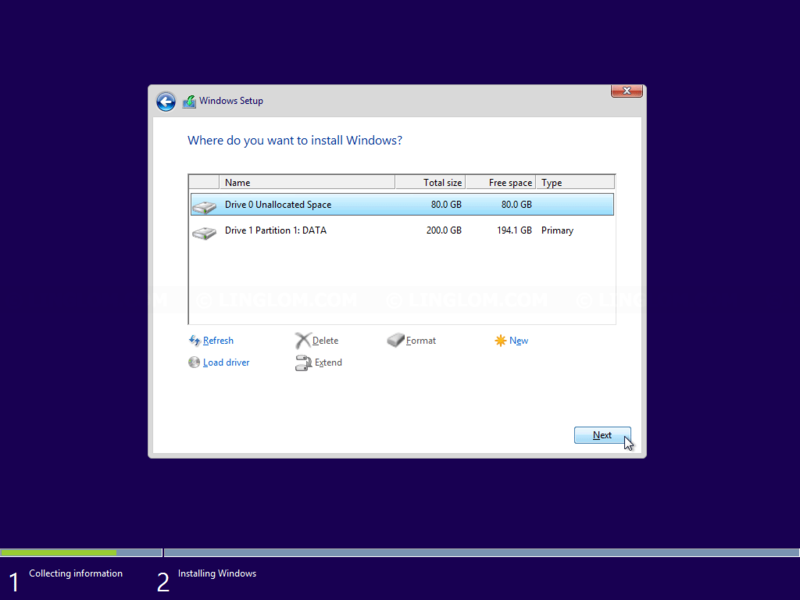 Now you can create partition or choose the disk to install Windows. Thank You so much for this concise and brief guide. It literally saved my day!